RamSoft announces its partnership with qliqSOFT at the Radiological Society of North America (RSNA)’s 2018 Conference on November 25th – 30th in Chicago, Illinois. NOVEMBER 25, 2018, CHICAGO, ILL – As the leading provider in RIS/PACS solutions, RamSoft is excited to put its partnership with qliqSOFT on display at this year’s RSNA. The new partnership will transform the way radiologists interact with referring physicians, technologists, staff, and more. 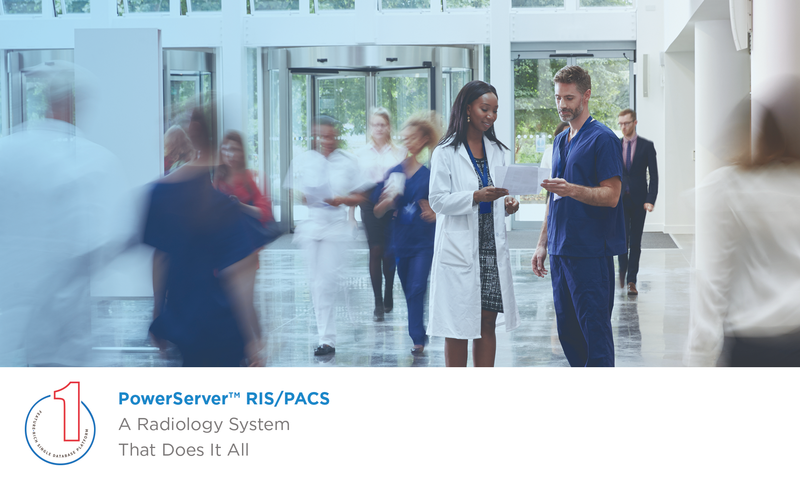 RamSoft’s PowerServer™ PACS and RIS/PACS solutions will now include a HIPAA/HITRUST compliant messaging solution thanks to the new market-leading partnership with qliqSOFT. Users will now be able to send secure text, email, instant messaging (IM), group messaging, images, documents and more for just $6/ per user/per month. Fully integrated with RamSoft’s zero-footprint viewer, RapidResults, imaging practices can securely Instant Message anybody and include a direct hyperlink to the imaging study and report. “This totally transforms the way radiologists can interact with referring physicians, technologists, office staff, and even patients!” states Vijay Ramanathan, President, and CEO of RamSoft. To learn more about RamSoft’s integrations, get in touch with a RamSoft Expert today. Qliq is a real-time HIPAA and HITECH compliant secure texting platform for healthcare providers. It allows the secure exchange of Protected Health Information (PHI) via text messages on smartphones and tablets running iOS and Android, and desktop computers running Windows or Mac. With Qliq, users can securely send images, videos, audio files, PDFs, documents, spreadsheets, and other files. Qliq even provides for recalling text messages should users make a mistake in who or what they send. To learn more, stop by the RamSoft booth #8100 Hall B – North at RSNA’s annual meeting or go to www.ramsoft.com. About RamSoft, Inc.: With over 20 years of experience in web radiology, RamSoft Incorporated is dedicated to delivering award-winning, fully customizable, feature-rich solutions for healthcare providers around the world.